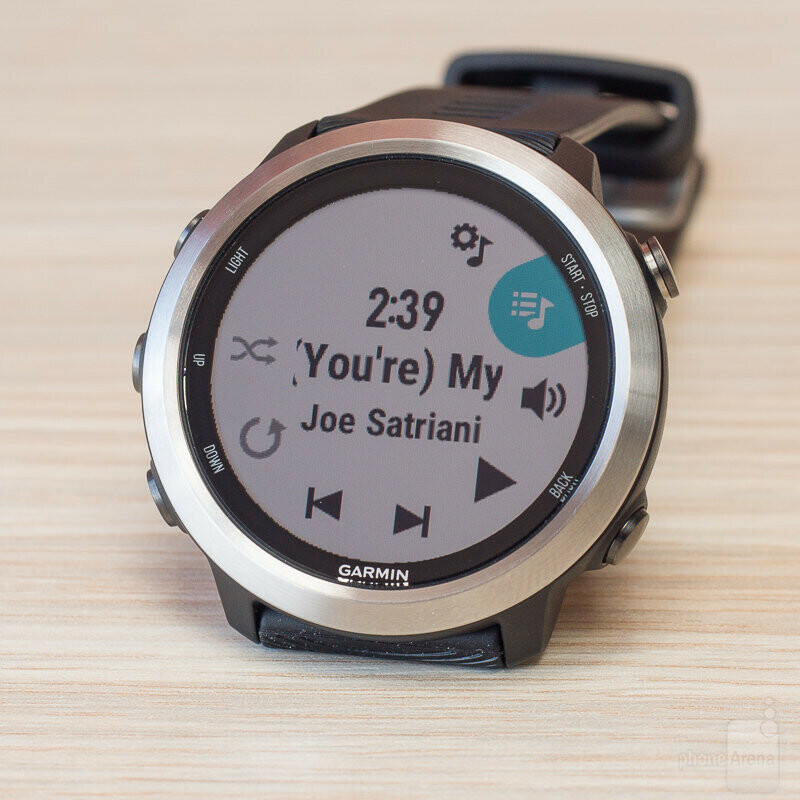 The Garmin Forerunner 645 Music isn't your typical smartwatch. It doesn't have a colorful touchscreen display, it doesn't have cellular connectivity, and it doesn't have a whole lot of apps to offer. What it does have is a battery that lasts a week, on-board storage for 500 songs, support for wireless payments, and a suite of sensors to keep precise track of your exercises. But ultimately, is it worth dropping $450 on one? I spent some time with it to find out. Yup, this is a sports watch alright! 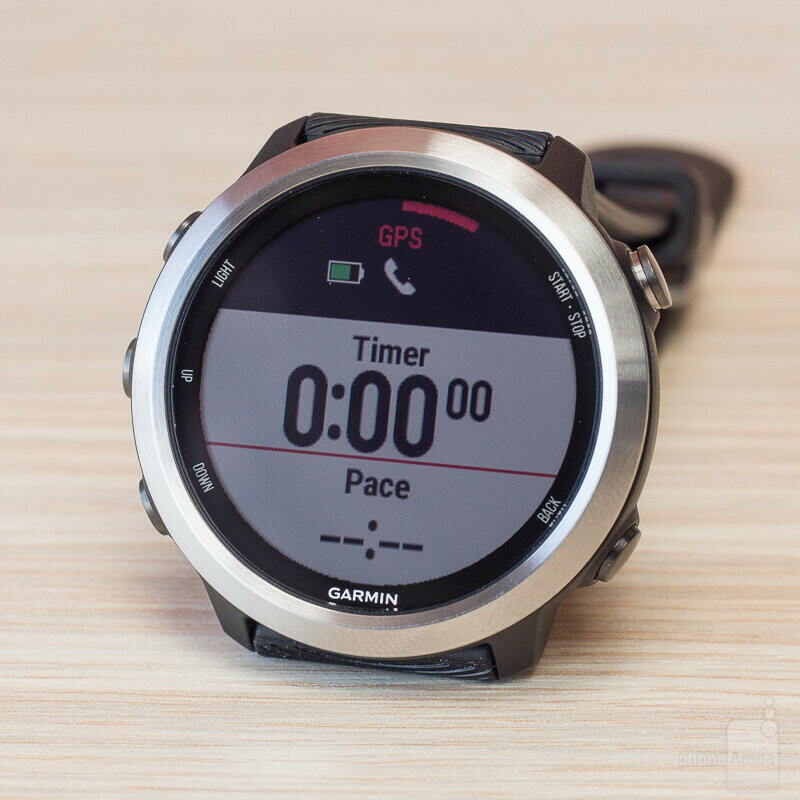 The Garmin Forerunner 645 Music has a plastic shell with no less than 5 buttons sticking out of it, while the circular screen is protected by scratch-resistant glass and surrounded by a thick, metal bezel. I wouldn't call it elegant or stylish, but it is definitely among the most comfortable smartwatches I've ever tried. The Forerunner 645 Music is slim and lightweight, so it doesn't distract and wouldn't get caught in your sleeves during exercises. I should also mention that the watch is waterproof down to 50 meters. It can be safely submerged in water and used in the pool during swimming exercises. My Forerunner 645 Music review unit came with Garmin's own black silicone wristband. It is nice and stretchy, holding on firmly to my wrist without being too tight or too loose. And if you're not happy with it for any reason, the band can be swapped with a standard, 20-millimeter replacement. Alternative bands come in a variety of colors and start at $30 on Garmin's website. As I mentioned in the beginning, the Forerunner 645 Music doesn't have a touchscreen, but that's not necessarily a dealbreaker. 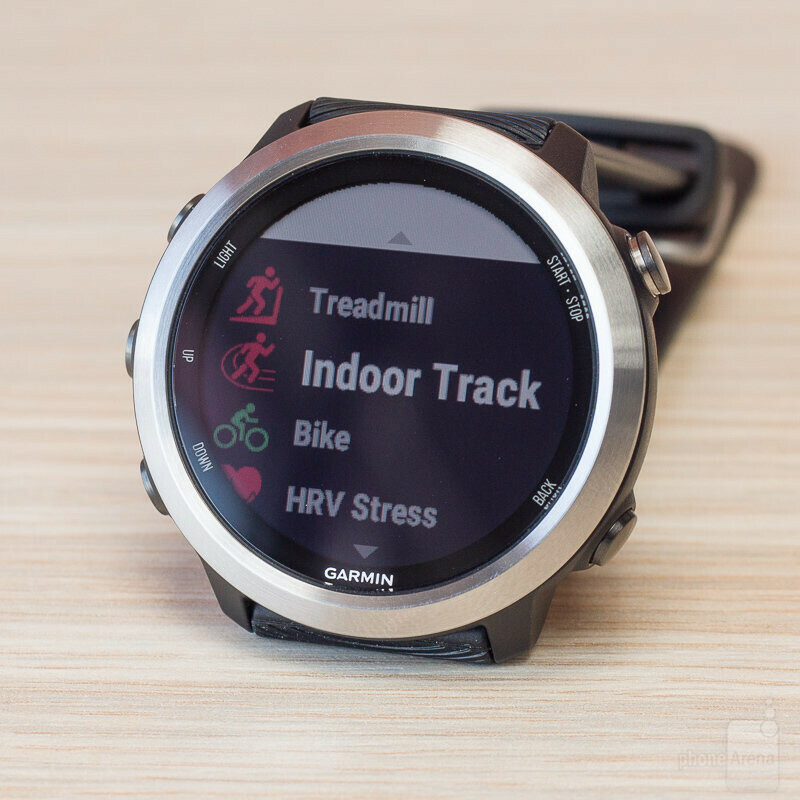 Sweaty fingers and touch-sensitive displays don't get along well, which is surely why Garmin chose to go with good old-fashioned buttons for its timepiece. All of them are well exposed and easy to operate. The 1.2-inch display itself isn't particularly pretty. Its resolution of 240 by 240 pixels is rather low, and it can display only a few basic colors. At night, I have to manually press a button to activate its backlight. On the other hand, the screen is extremely power-efficient. Leveraging memory-in-pixel technology, it consumes so little power that the Garmin Forerunner 645 Music easily lasts a week between charges – and that with the screen on all the time! On top of that, the display has fantastic outdoor visibility. Remember the last time you had to read a user manual? Me neither. 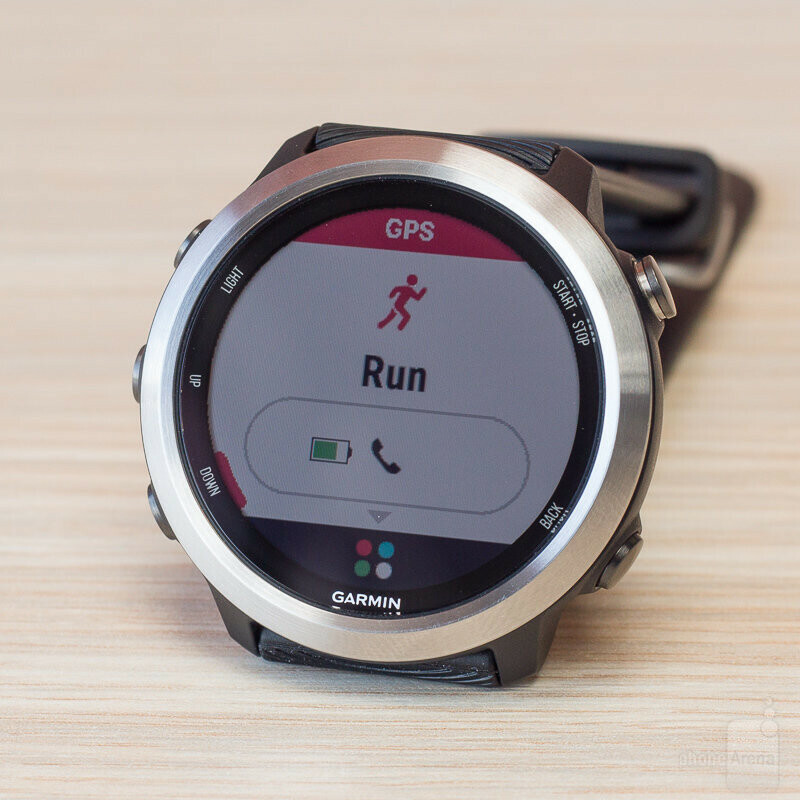 But that's highly recommended if you get the Garmin Forerunner 645 Music, which runs its own, proprietary operating system. On one hand, the software offers lots of cool features, but on the other, many of them require to be discovered or figured out – the inactivity nudges, for example, or the automatic backlight. Again, the Forerunner 645 Music doesn't have a touchscreen, so you only interact with it using the buttons available. The "Start/Stop" button on the right confirms selections and starts exercises, while the "Back" button takes you, well, a step back. The "Up" and "Down" buttons are for navigating the UI and for scrolling through the available widgets. A single press of the Light button turns the backlight on for a few seconds. Incoming notifications from your smartphone arrive instantly on the Forerunner 645 Music. Even some smilies in chats are correctly transmitted. On the downside, you're limited when it comes to interacting with these notifications. I've been only able to read the first few sentences of incoming emails, and you can only respond to instant messages with a predefined answer like “Okay” or “Out running”. Extras like voice controls and access to virtual assistants are out of the question. 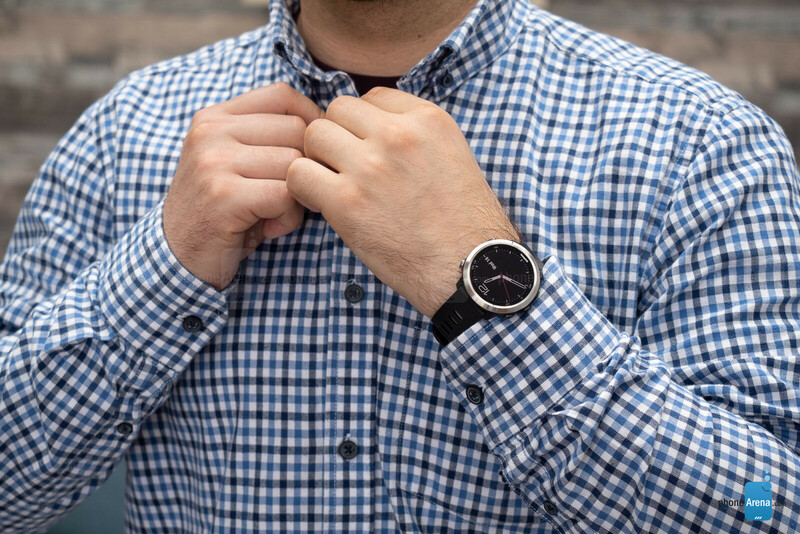 As far as customization goes, a handful of analog and digital watch faces come pre-loaded. You can further personalize them by choosing which complications and bits of activity data are shown. You can also download new watch faces from the Garmin IQ store or make your own with the Garmin FACE IT app. New apps and widgets can be downloaded as well using the Garmin Connect app on your phone. 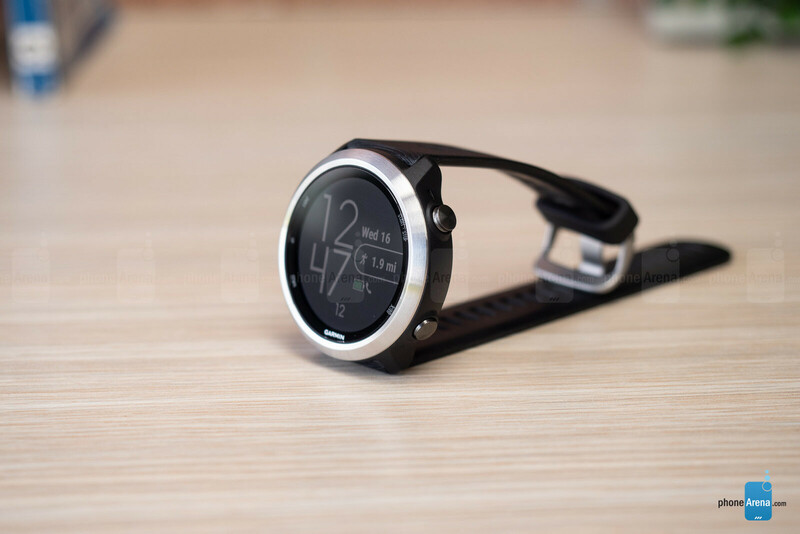 There's not a whole lot of them to browse through, and most are related to sports and activity monitoring, but again, none of this comes as a surprise given the audience the watch is targeting. 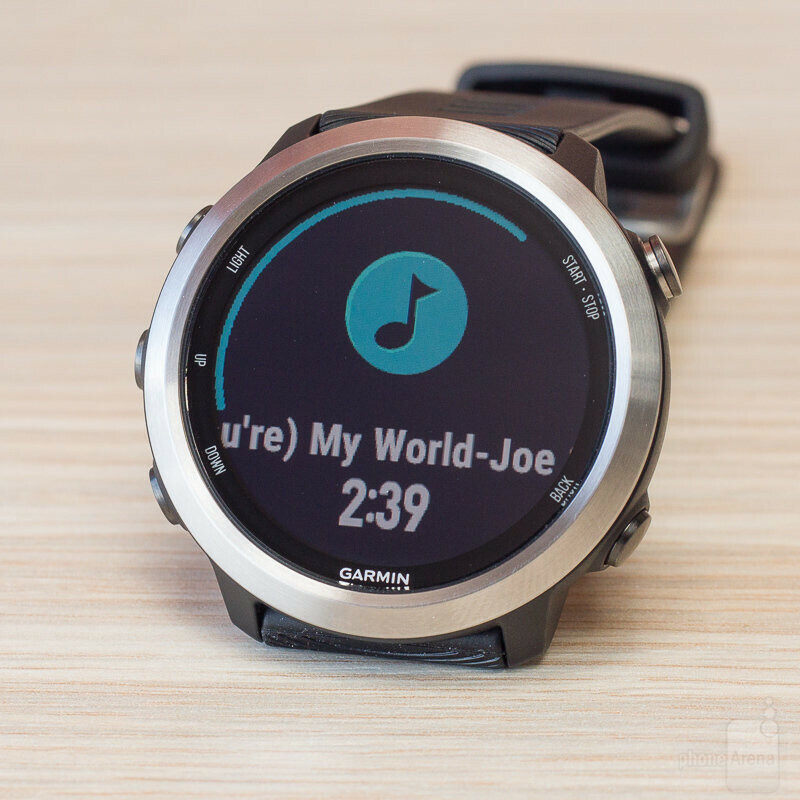 The Forerunner 645 Music supports Garmin Pay – a platform for NFC-based mobile payments. So yes, you can pay for your morning coffee even if you don't have your phone or wallet on you. 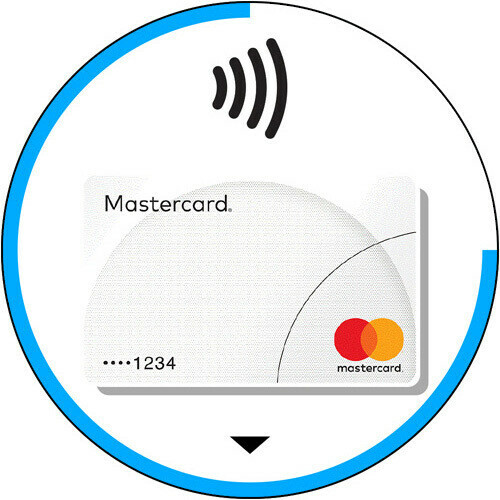 Cards by both Visa and MasterCard are supported. Currently, the service is available in the US, China, and in parts of Europe, with more banks and countries expected to be added over time. Thanks to its built-in GPS, the Forerunner 645 Music can precisely track your runs even if you don't have your phone on you, while the built-in heart-rate monitor allows your pulse to be recorded 24/7. 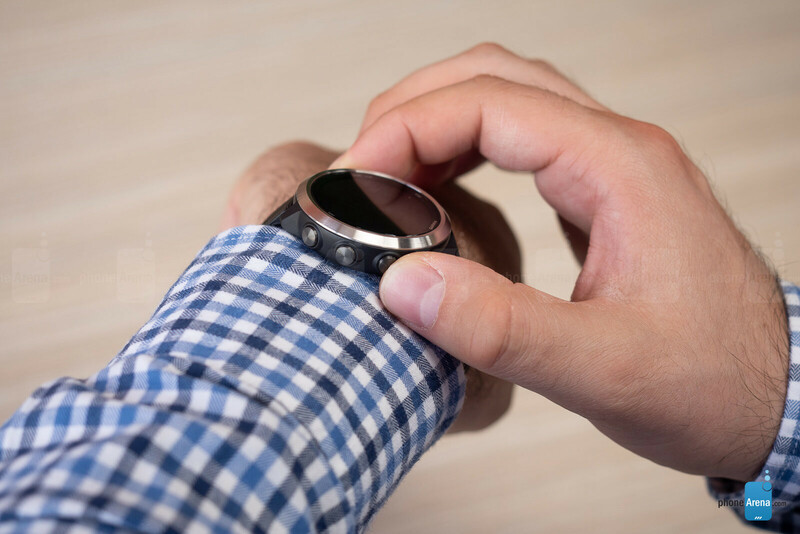 The watch also counts your steps, the number of floors you've climbed, and can even monitor your sleep if you (or the person next to you) don't mind going to bed with it on your wrist. Garmin's software enables comprehensive activity monitoring and guidance – the kind that serious fitness enthusiasts would appreciate. While running, for example, the watch can help you keep a constant cadence with its Metronome feature, which emits a slight vibe every few moments. It will also help you maintain your pulse within a certain range. The Courses feature suggests running routes depending on the distance you wish to run. And the list goes on. 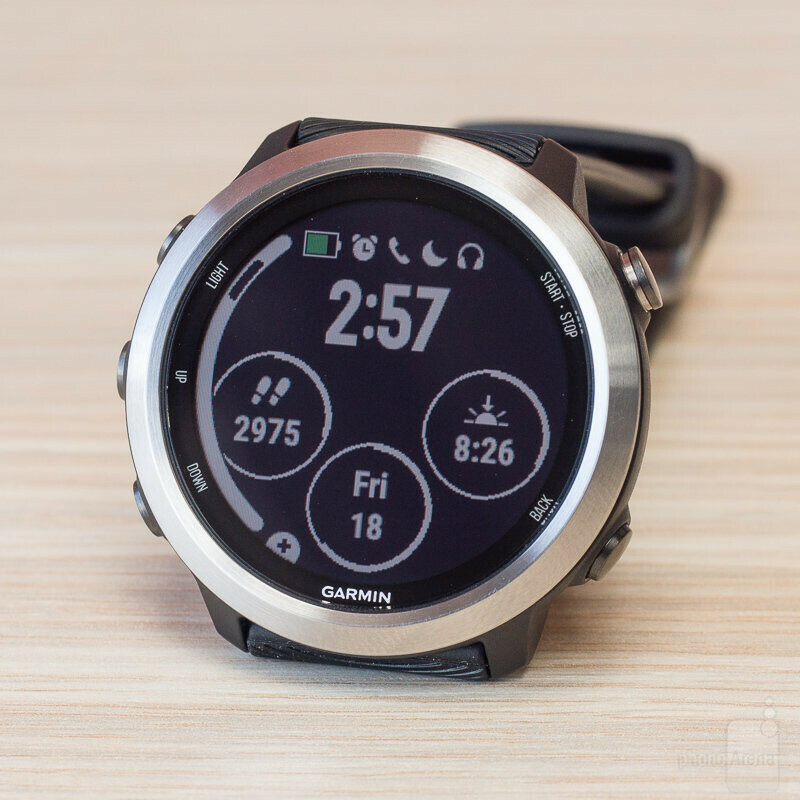 Naturally, the Garmin Forerunner 645 Music connects to a smartphone and external tracking devices over Bluetooth, but it also has a Wi-Fi radio allowing it to sync music and activities even when it goes out of range. 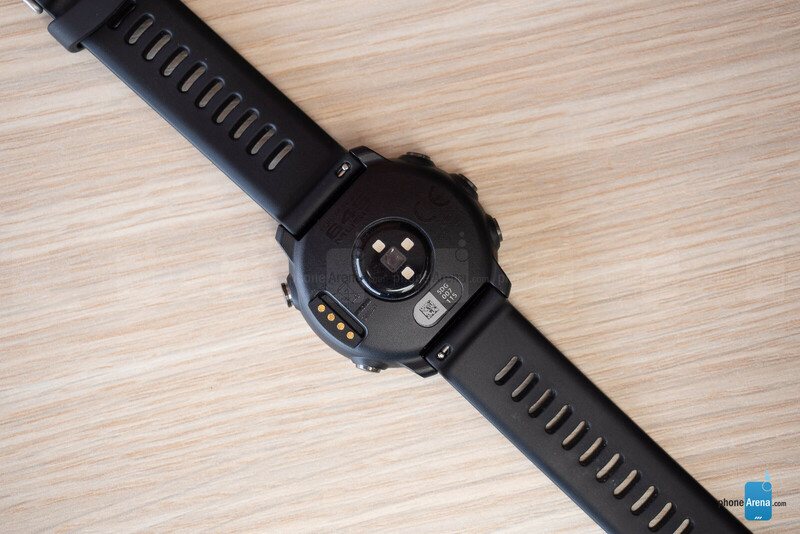 The ANT+ support allows it to connect to various fitness devices, including wearable sensors and exercise equipment. You won't find a speaker or a microphone on this smartwatch, so making phone calls with it isn't supported. But you do have the option to store up to 500 songs onto its built-in memory. Playback is done over Bluetooth, and the connection is plenty strong. In other words, you can listen to music while exercising without having to bring your phone with you. While the music player feature is appreciated, getting music onto the Forerunner 645 Music is a rather inconvenient process. One of your options is to do it the old-school way: you connect the watch to a computer over USB and copy your MP3s manually. The other is to sign up for an iHeartMusic premium account and download tracks from there for offline use. Spotify and Apple Music are not supported, and we don't know if they'll ever be. One of my favorite things about this watch is that it just keeps going and going and going. 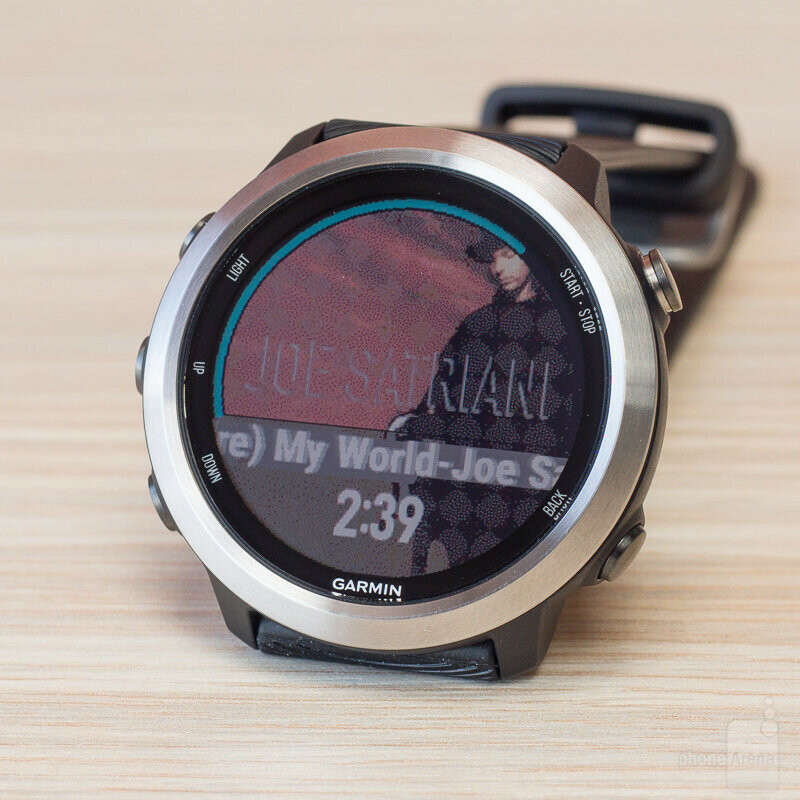 The Garmin Forerunner 645 Music can literally last a week between charges, and that's with the display constantly on! The only two features that have a significant impact on battery life are the GPS radio and the music player. Garmin's official figures point at 14 hours of music playback over Bluetooth. Having the GPS running on top of this brings usage time down to 5 hours. To charge the Garmin Forerunner 645 Music, you use the provided charging cable. It's a proprietary accessory with a regular USB connector on one end and a clip on the other. 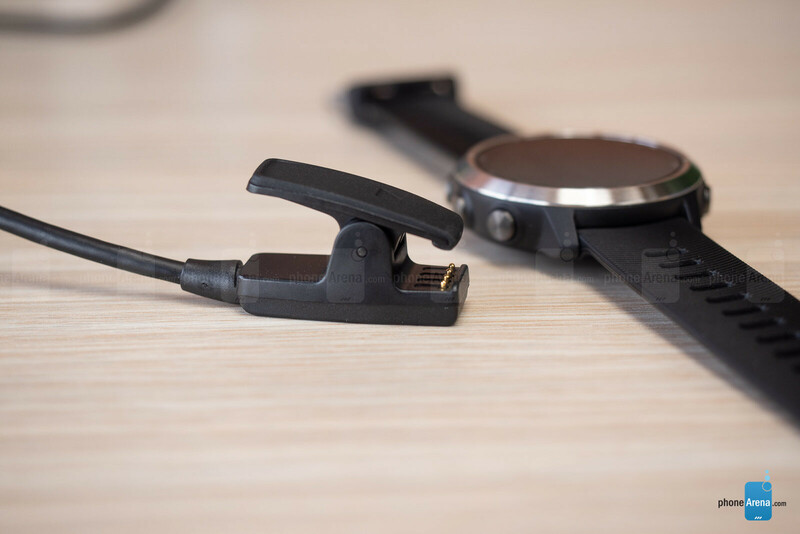 It's not the most convenient smartwatch charger out there, but it maintains a strong connection, so you can comfortably have your watch charging from a power bank in your bag or in the car. Just don't break or lose this cable, as a replacement will set you back $25. Connected to my computer's USB3.0 port, the watch charged from zero to full in less than 90 minutes. If you're a seriously active individual, however, and if you exercise on a regular basis, then yes, this is most definitely a watch worth checking out. It is extremely water resistant, it is super comfortable to wear during activities, and it lasts days between charges. Alas, the Forerunner 645 Music leaves us underwhelmed with its music playback capabilities. The lack of support for popular music streaming services is puzzling, especially when it costs more than competitors from Samsung and Apple, both of which have full access to Spotify and Apple Music respectively. Still, if you don't mind the inconvenience of dealing with MP3s, then the Forerunner 645 Music isn't likely to leave you disappointed. And if you don't see yourself using its music player, consider the non-Music variant, priced at $399. "It is extremely water resistant". Nick, how long have you been writing here? 5ATM is a small step up from the 3ATM of everyday watches. 10ATM is the standard - the minimum, I'd say - for a watch that will be slammed into the water by a swimmer's stroke. I would not swim with this thing if I could help it. The display tech is nice, nobody needs full RGB OLED's on a watch. But at this price point, I expected way more. This is 2018, I should not need to mess around with friggin' MP3s. Maybe this is a rich people thing that I'm not getting, I guess. PS: I would also like to see how SW's with proprietary OSes are doing compared to Android Wear. Qualcomm Toq, anyone? Sony's pre-SW3 watches? 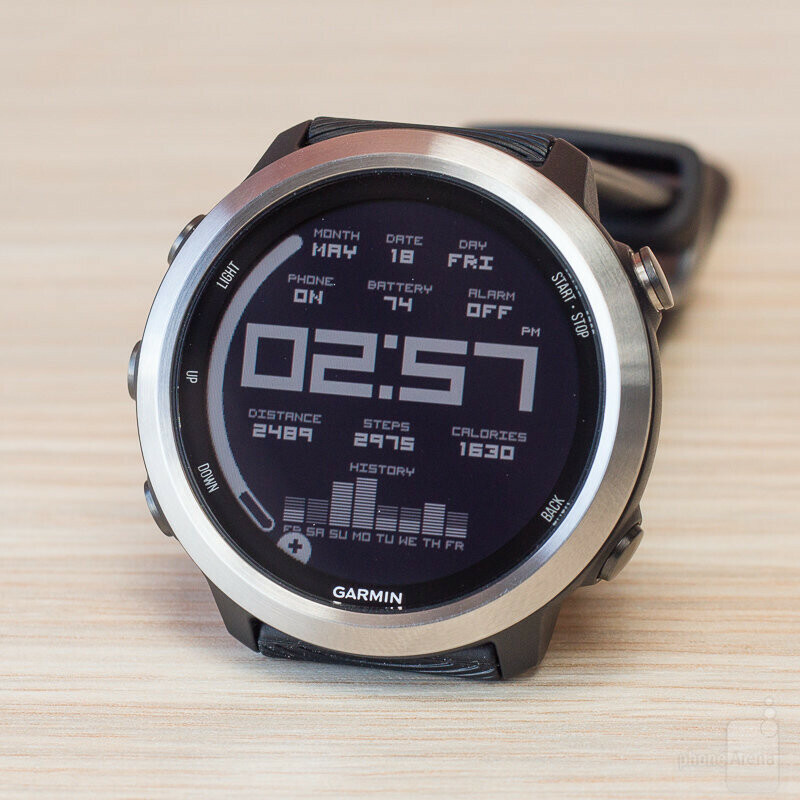 I have been using Garmins Forerunner and Fenix watches for many years. I swim with them most days in the pool, lakes, rivers and sea. They are rock solid in the water. Only if you diving deep would you have to worry, just swimming there is no problems.